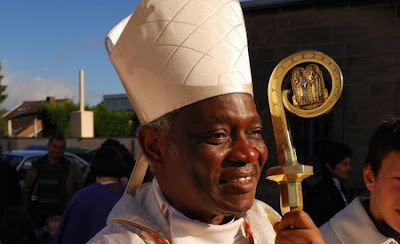 Ghanaian Cardinal Peter Turkson and the Pontifical Council for Justice and Peace of which he is president are both emphasising the importance of Cardijn’s See Judge Act method. Addressing a 30 March – 1 April congress in Lyon, France, organised by UNIAPAC, the ecumenical business leaders movement, Cardinal Turkson pointed to the method as a tool for discerning the vocation of the business leader. Read his speech Vocation of the Business Leader here. In fact, this speech was basically an introduction to a new document published by the Pontifical Council for Justice and Peace entitled “Vocation of the Business Leader: A Reflection“. This whole 32 page document is explicitly organised into three sections based on the See, Judge and Act.